It’s rare to think that someone born and raised in the beautiful yet crime-ridden inner city of Baltimore, can be impressible, but I am. I spent most of my life dedicated to the esteemed, venerable field of medicine, of course with a Vogue and an Archie comic in my tote. After having my third child, I realized working 100 hours a week in the medical field, juggling a family and marriage was virtually impossible. I figured out a way to work less, continue to challenge myself in my career, tackle the joys of motherhood, and I began to have free time to explore my other passions, like fashion. I branched out a few years ago when I started reading Harper’s Bazaar, which I’m not going to lie, it felt like I was cheating on Vogue. Last year my teenage daughter for some reason introduced me to instagram and I became exposed to a world of fashion from various perspectives: designers, models, the production, ateliers, media and other influencers. Soon, Vogue was not enough, I wanted to read Vogue UK, Harper’s Bazaar US and UK…and eventually dah dah daaaa a book!!! For most of my life if it wasn’t a medical textbook, a Vogue magazine or Archie comic, I had no interest in reading it. Then somehow I caught wind of Caroline de Maigret humorous shorts on insta and I thought she’s from a totally different world than me yet we have an appreciation of the same humor and fashion. 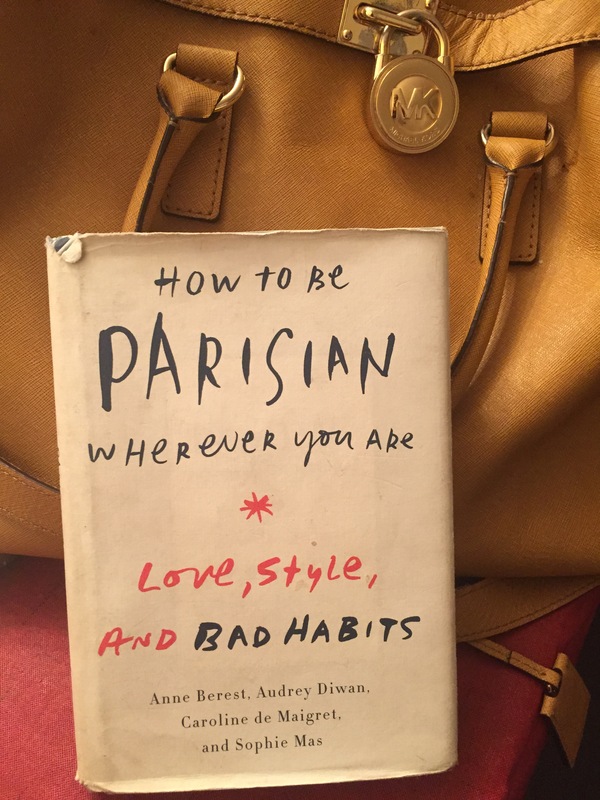 So, I read the book of which she helped author, How to be Parisian Wherever you are, which I loved by the way. I decided to elicit the help of Harper’s Bazaar to learn of other recommended fashion books to read. I’m going to try to read one a month and write a review. Here is the list: http://www.harpersbazaar.com/culture/art-books-music/g4374/best-fashion-books . Using this list, I’ve made sort of a virtual textbook, each publication will represent a chapter. Stay tuned for 1st review (chapter) of my 14 month fashion textbook challenge. Haven’t read the book yet, but took a picture of it while in Seattle which I’ve kept to use in my blog someday.